150 HP, a thumpin’ stereo, and room for 12. Sounds like a great day on the lake to us. Enjoy family fun with your own waterpark on the water! 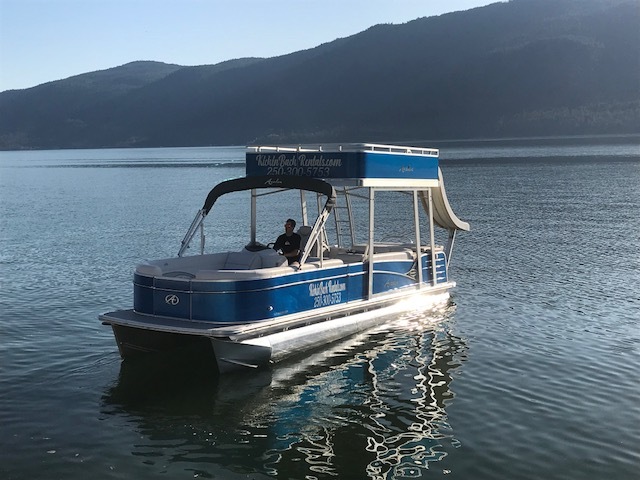 This double decker pontoon is loaded with features like a slide with a water pump, a second level sundeck, a storage center with speakers and remote stereo controls. Slide, swim, lounge, entertain and even water ski with this complete family fun ship! 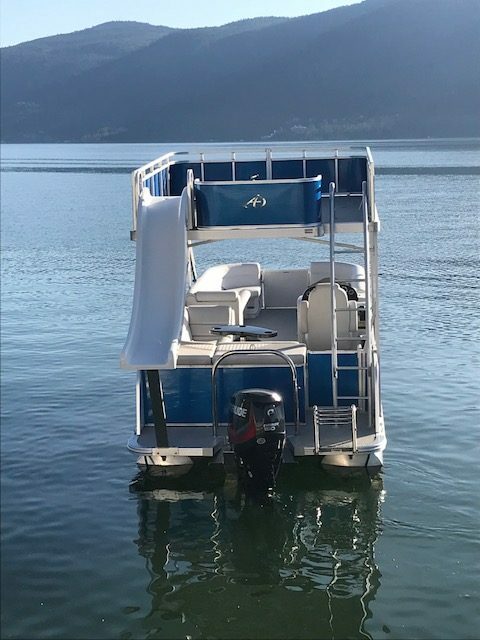 If you’re looking to have a great day out on the lake with the whole family, water skiing and tubing, this is the perfect boat to do it in. Eight hour rentals include a water accessory of your choice. The Catalina Funship is a fantastic boat for groups of people that want to hit the open water and have a good time. The top deck is perfect for those I can’t wait to sunbathe moments, with a blue sky above you and fresh water below you the only way to make that situation even better is an ice cold drink! We’re not sure who has more fun on this boat, the kids or the adults! If you do not have a boat license, we will perform a walk-around of the board and familiarize you with its controls. In addition, we will teach you how to operate the boat and what to do in the event of an emergency. All boat operators are required to have at least a valid class-5 license. Operators must be at least 18 years old. You are free to bring the boat back for us to refuel for you- we’ll add the cost of fuel to the final total. This not only allows you more time on the water, but saves you money as we refuel at normal gas prices.